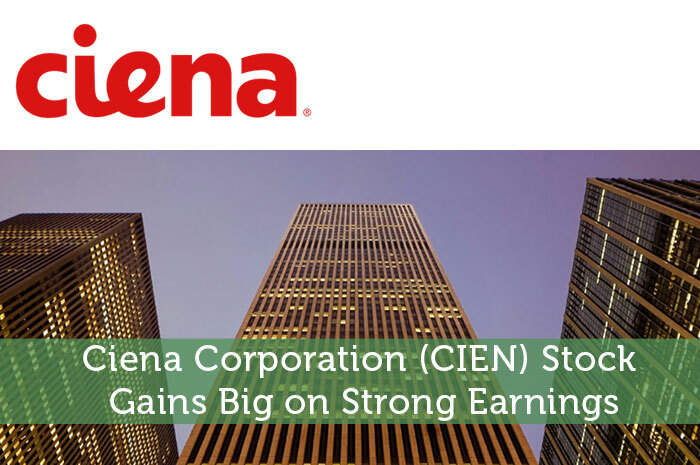 Earnings Per Share – In terms of earnings per share, CIEN did incredibly well. During the second quarter, analysts expected that the company would generate $0.27 per share. However, on the report, the company actually showed $0.34 per share in earnings. While earnings blew away analyst expectations. There is a bit of a downside here. On a year over year basis, earnings per share fell by $0.01 from $0.35 per share. Revenue – During the second quarter, CIEN also did incredibly well when it comes to revenue. During the quarter, it was expected that the company would produce revenue in the amount of $630.74 million. However, the company actually generated revenue in the amount of $640.7 million. This brings year over year growth to 3.1% in revenue. Guidance – As if producing incredibly strong earnings and revenue wasn’t enough to excite investors, Ciena Corporation also released incredibly strong guidance. During the current quarter, the company is expecting to generate sales between $655 and $685 million. This comes in on the high side of analyst projections at $664 million. As investors, one of the first things that we learn is that the news moves the market. Any time there is positive news released with regard to a publicly traded company, we can expect to see gains in the value of the stock associated with that company. Adversely, negative news will generally lead to declines. In this particular case, the news surrounding CIEN was overwhelmingly positive. So naturally, we’re seeing gains in the value of the stock today. Currently (12:58), CIEN is trading at $19.70 per share after a gain of $1.94 per share or 10.92% thus far today. Moving forward, I have an overwhelmingly bullish expectation of what we can expect to see from Ciena Corporation. The company did incredibly well in the second quarter, even through an incredibly challenging time for the technology, and most other sectors. At the end of the day, the company has a clear plan for growth and is proving its ability to follow through. All in all, it seems as though the stock is headed up moving forward. Where do you think CIEN is headed moving forward and why?